What would you do if after starting a new job as Head of Product you'd learn that your product management team is perceived as passive, not innovative and even not the voice of the user? 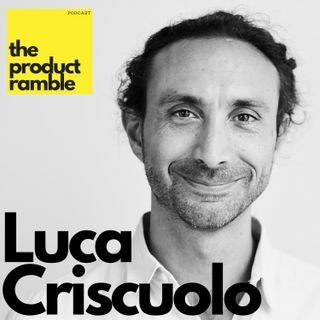 I discuss with Luca Criscuolo, Head of Product & Delivery in Outfittery how he assessed and identified issues and how he transformed his organization from feature builders to a true product management team and strategy contributors. There is lots of learnings and wisdom on leadership, team ... See More organization, and role of product management. Enjoy and share! Please help! Share with one friend today - this helps others discover the podcast.